This week’s post celebrates the spirit of volunteerism and is a tribute to National Volunteer Week–April 7-13, 2019, via an update of a popular post I wrote several years ago on the importance of volunteering and helping causes or groups you believe in. Pictured above is the District Director for District 64 Toastmasters, Thecla Athayde, who spends many hours per week volunteering on behalf of Toastmasters International. This is me in November, 2018, with Edmonton Centre Member of Parliament Randy Boissonault, who is a member of the Heritage Committee and spoke passionately in favour of the rights of writers in relation to copyright reform. Volunteerism plays a huge part of my everyday life. Most recently, I have been volunteering a good part of my time for the Professional Writers Association of Canada (PWAC). In my role as national Vice President and chair of the Partnerships and Advocacy Committee, I have the opportunity to be involved in many exciting and important activities that affect freelance writers across Canada. That involved a trip to Ottawa to make a presentation to the Heritage Committee on the subject of copyright reform in relation to Canada’s creative community. And it has involved partnering with other writers’ groups to strengthen our voice. You can see PWAC Prairies and North Regional Director Paul Verhaegh on the screen to the left as he made his presentation to the Heritage Committee via a live video presentation, November, 2018. Volunteerism has many faces, and can be of benefit to us–personally and professionally–with implications that can be immediate, longlasting or both. Volunteering for Toastmasters is something that has also taken an important role in my life. Toastmasters helps me personally and professionally, and is something that has played an integral part of my life since joining Toastmasters International in 2001. One of the highlights of my life of volunteerism was when we received the charter for our Toastmasters in the Arts Club in 2013. After a year of hard work, we finally did it, and became an official club of Toastmasters International. The club is still thriving more than five years later. In this post, I thought it would be fun for us to reflect back on some of the most meaningful, unusual or memorable moments in volunteerism that have blessed our lives. I have two most memorable occasions that are entirely different. One good to great! And the other … not so good. To start with the positive, one of the most memorable volunteer roles I’ve had was as part of the media team for the 1999 Pan Am Games that were held in Manitoba. As I lived right next door to Birds Hill Provincial Park, I volunteered to work at the equestrian events being held in the park. There were journalists from all over the Americas, and it was our job to be sure they had everything they needed, help them arrange interviews with anyone they wanted to meet, etc. I was teamed with Heidi Bock of Winnipeg, someone I became quite good friends during the process. Heidi (left) & I doing our thing at the 1999 Pan American Games held in Manitoba in 1999. The not-so-good volunteer experience that will always be lodged in my memory (and was fodder for my book on volunteerism, “Before You Say Yes …”) occurred when I was on a small board for an arts group. We were in the midst of a meeting, and our executive director (who had a very volatile personality) became enraged at something one of the directors had said, rose to her feet, threw her chair against the wall and stormed out of the meeting room, never to be seen again! Needless to say, that moment left us all quite dumbfounded, and left the organization without staff and in quite the bind. What the learning experience that was! Some of the most meaningful volunteer work I’ve done are the years I spent serving as shop steward, contract negotiator, and president of our component within a provincial union. Unions have amazing training programs. They taught me all about leadership, how to be a good listener and how to be confident in my position. That work helped form the core of the person I am today. And I hope I helped a lot of my co-workers along the way. That leaves the unusual category to ponder. I didn’t have to go as far back in my memory banks to find that one! In 2009 I was Mrs. Santa at the Matlock Recreation Club–quite the stretch for someone who has never had any children, and who has probably held no more than a dozen babies in her arms throughout my lifetime! 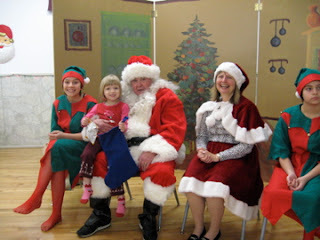 That’s my husband, Reg, playing Santa and me by his side as Mrs. Santa at the Matlock Rec Club in 2009. But that’s what volunteerism enables and encourages us to do. To step outside our comfort zones and to do things that will help others, make the world a better place and bring smiles to the faces of others. Now it’s your turn! Please share some of the most memorable, meaningful, or unusual moments you have experienced in your roles as a volunteer. I look forward to hearing your stories. We can all learn from and be inspired by the experiences of others. National Volunteer Week is held annually during the second week of April. And December 5th is International Volunteer Day. Let’s celebrate all the incredible volunteers in our lives. Hug a volunteer, and thank them for all they do. And if hugging is beyond your comfort zone, send your favourite volunteer a note of thanks. I guarantee you they will thank you for it. Winnipeg's River East Collegiate is holding its 50th Anniversary Reunion June 24 and 25. Come out and meet all your old friends and teachers at the 2-day event, which includes a Gourmet Meet and Greet at the Victoria Inn on Friday, June 24th, an Open House at the school from 1 – 3 Saturday afternoon, and a Gala Dinner and Dance with the Ron Paley Orchestra on Saturday, June 25th at the Convention Centre. MCs for the evening are REC alumni Sylvia Kuzyk of CTV and FAB 94.3's Tom Milroy. Early bird ticket prices are available until April 30th, so register now! Thanks so much for making contact, Heidi! It's great to stay in touch after all these years, and to hear what you've been up to. Once a volunteer, always a volunteer it seems. It's in our blood! Good luck with your HS reunion. Mine was last year (Vincent Massey Collegiate) and unfortunately, I had to miss it. Have fun! And please drop in here again as it's always great to hear from you. As soon as I read this I thought of one job that I will always remember – actually I did it for two different organizations. It was working phone lines, overnight, at crisis counseling centers. There was supposed to be 2 staff on at all shifts but, inevitably, I was usually alone. Imagine being on the phone try to talk someone out of committing suicide (and not really knowing if that was their intent but it's your job to take it seriously, of course). The other phone lines start ringing. You can't stop your current conversation. At the same time, what if one of those calls is also someone who is thinking about ending their life? Despite the stress (and I can still feel it when I write this) when I moved I did the same job in another city. But after a while it became too much for me. Today my volunteering is mainly for writing organizations – helping them or helping those who want to become freelance writers. It's less stressful and you can see the good that you do. But scary story about your experience with the flying chair, Doreen. I will have to be careful – perhaps re-read your book – "Before [I] Say Yes." Thanks, Suzanne! Always happy when people say they will reread my book. There are always new (unnoticed) tidbits that may be of help. But having volunteered with you over the years, I know what a conscientious volunteer you are, and that whatever job you take on, you do it with your all. Thanks for all you do on behalf of writers everywhere. Hi Doreen, It's so nice to see you and Reg together volunteering! Such a worthy cause. Give that lovely man of yours a great big hug from us! Kudos to everyone out there who wants to help create a better world and gives their time and energy to make that happen! Being a volunteer is truly priceless – you make new friendships, acquire new skills, get to stretch and challenge yourself, and make new memories! Thanks for sharing some of your memories Doreen! It made me flash back to the Pan Am games, that lovely coral jacket, and the pride of Manitobans in welcoming so many to our province. Happy New Year & great to hear from you, Bev! We've had so many great times volunteering for Toastmasters together. You are truly an inspiration to me, and congrats again for being named the District 64 Toastmaster of the year in 2009. So truly deserved! Happy to provide a comment on volunteering. 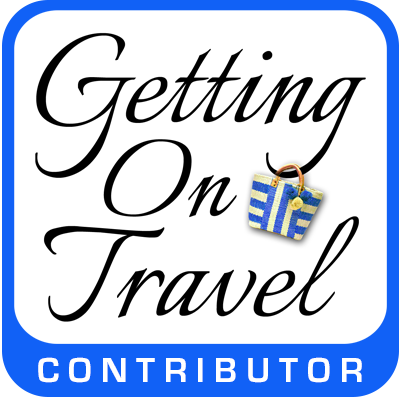 My most significant role was when I began volunteering for the Travel Media Assn. of Canada in its early days. I helped find locations for the monthly meetings in Toronto; soon found myself as secretary on the Board of Directors in 1998, and was president of the national Association by 2000. I finished my term as president in February 2002. When I moved back to Nova Scotia in 2004, I again began volunteering for TMAC in the role of treasurer for (what is now) the Atlantic Chapter of TMAC. I can't tell you the number of wonderful people I have met since then thru TMAC (including you, Doreen!) – and all those volunteer hours never hurt my professional career one bit. In fact, my relationship with TMAC has always been personally and professionally beneficial. Your event planning in Yarmouth looks like there are many great things planned for this year. The Rum Run sounds like fun! Good luck with it all, and may you never lose your zest for volunteering! What a great story, Linda. It's truly amazing what an impact we can make while volunteering, and conversely what an impact others can make on us by exposing us to thoughts and situations we wouldn't otherwise encounter. Thanks for dropping by the blog. Please come again soon. What a great way to walk down memory lane. Working with you on your book was a great privilege for me. My volunteerism began in earnest when I was 15 and I visited an old blind lady at the local convalescent home. I still remember her patience in teaching me braille and allowing me a glimpse into her soul. I think of her often, 45 years later! I have always felt compelled to devote a large portion of my life and resources to charity work. The theme of my work has always been to help the underdog. I am constantly reminded of how important such work can be when I see the organizations I have helped along the way, all in dire straights when I became involved, are all thriving. I was instrumental in getting animal assisted therapy introduced into the NY hospital system; funding the first canine blood mobile; stabilizing a national ballet company; helping at risk youth; and a variety of other causes. To brighten someone's life everyday is a choice we all can make. Thanks Doreen for your compassion and example! Thanks so much, Jay. Your comment brought tears to my eyes. We are so lucky to have become friends. There's something kindred about the spirit of volunteerism. It seems to bring together the kind of people you want to be around. The positive energy fills the room, and fortunately for us (being located across the country!) even transcends cyberspace. May you never lose that giving and loving spirit. Great pictures, Doreen but how dumbfounding for all when someone picks up a chair, throws it at the wall and storms out of the meeting never to be seen again (or maybe it's just as well). I love that picture of Reg and you as Mr. & Mrs. Claus! I once served on the board of an agency that helped people with mental illness live fruitful lives in the community. One day the executive director (ED) of the organization suddenly announced that she had had been hired by another and that that would be her last board meeting. We were stunned. Most of us were new on the board. We went through several trying months as we interviewed candidates for the ED position while attempting to provide leadership to those who worked at the agency. Thanks for joining us on the blog, Grace, and for your comments. Sounds like you've been thru some tough times on that board, but, wow! We sure learn from those experiences, don't we? The key is to learn, take that knowledge with you, and use it in your next volunteer posting. Wow, what a great interview with Barbara Bowes today on CJOB. I'm happy to hear how well you are doing with your book. I'm with the German Canadian Congress as a Volunteer and a board Director and always recommend your book to the Board as they are all Volunteers. I'm also a Goldwing Ambassador at the Winnipeg International Airport Community Volunteers. Your book has given me a lot of understanding as a Volunteer. You have done a great job with it. I feel great honour and joy in my number one volunteer job once a week as a Goldwing Ambassador at the Winnipeg James Armstrong Richardson International Airport. My duty there is to assist customers by providing information and answering questions. It is rewarding to help people and meet passengers from all over the world. Fluency in the German language is a great asset at the Airport. My second joyful volunteer job is helping out twice a year at the Children’s Hospital Book Markets at the St Vital Shopping Centre. It is important for me to contribute something for the vulnerable children who are suffering illness. As a volunteer Fundraiser for the German Canadian Congress (GCC) I dedicate numerous hours and much hard work toward supporting arts and education of the German language. I organize many fundraising events. In addition to much other hands-on work, I manage the Kaffee Stube at the annual Christkindlmarkt. I get satisfaction in maintaining my German language and culture. Another great volunteer contribution is my participation the Multiple Sclerosis. Rona Bike Tour – Biking to the Viking at the end of August for the last 6 years. I canvass to raise pledges and I cycle from Stonewall to Gimli and return to Stonewall in two days pedaling 185 KM in all sorts of weathers. Funds go the MS Society for their programs to battle MS and assist those with this illness. I’m very proud to have raised over $6,000. I have started my campaign by inviting people to contribute at pledge a cyclist . Hats off to you, Roswitha, for finding a wide number of volunteer opportunities that enable you to help others while maintaining your own cultural heritage. The best of both worlds! Wow, this subject has really spoken to a lot of people! For those who may be wondering, the not-so-good experience was turned around by a dedicated group of volunteers (including me and Doreen). We learned a lot from that peculiar situation, and the organization not only survived but thrived. Volunteering has been a huge part of my life probably starting without even realizing it as a Brownie since the Girl Guide movement places such a focus on service. I have gained so much from volunteering including confidence, improved communication and organizational skills and the satisfaction that comes from helping make the world a better place n- at least I hope that’s what I’ve done! Happy National Volunteer Week Doreen! Trudy. Great post, Doreen! To your point, volunteering is a wonderful opportunity to give back and learn more about yourself. As a teenager I tried volunteering as a candy striper but it was not a good fit. That experience showed me that I was better suited for environments other than hospitals. I’ve had amazing experiences as a race volunteer, including a weekend-long adventure race. The other volunteers you meet are incredible people who you probably wouldn’t know otherwise. Happy Volunteer Week! The best volunteer experiences for me have been rooted in selfishness, that is I got something out of them, too. 1. Door to door collecting for the CDA I was helping find treatments and perhaps a cure for my son’s type 1 diabetes. 2. Costuming students for school musicals was an outlet for my creativity that allowed me to design, create and see costumes come alive as they helped the students get into character. 3. Toastmasters leadership allows me to practice public speaking and opened a door to leadership learning I never expected to enjoy (but do). I continue to learn about adult education as well. Hi Sheryl and thanks for your comment. Indeed. Volunteering should always give us something in return for our dedication and hard work. That could be just a sense of well being in knowing we are doing something good. Or it can be something of a grander nature. But without volunteers, where would the world be? Hi Doreen, I like to help people and support endeavours that help the community. For me it has been a way to participate behind the scenes, and get things done. I have always believed in ‘pay it forward’. But….. Volunteers need to be recognized for their efforts. It doesn’t have to be a big deal, a simple thank you goes a long way. If they offer to help with a project, a program or selling tickets for example, the organizer needs to follow through and not leave their people hanging. Thanks so much for your comment, Kate. It is indeed important to recognize the efforts of volunteers. And for leaders to be accountable to the membership they are serving. Without that connectivity, the organization is considerably weakened. I am so glad we have volunteers like you, Doreen! I think the Rotary motto “Service Above Self” summarizes volunteerism so well. There is no greater endeavour than helping others. But, there’s no denying that although you do it for others, it benefits you as well. It makes you a better person. It opens your eyes. It makes you see that there is so much more you can do. It makes you want to do more. Volunteering has been a huge part of my life and will continue to be so. Thx so much for sharing your thoughts, Cynthia. I have always admired all the volunteer work that you do. Volunteering is important, especially for any cause to do with human suffering. Unfortunately I don’t have time at the moment though. Have som much to do some days I feel guilty when I need to take the time to have a shower. I hear you, Catarina. There are times in our lives when we really are just too busy to volunteer. But there will be times when you can fit it back into your life, and I’m sure you will. Inspiring post Doreen! There is much to be gained from volunteering; offering your service and adding to your skills and expertise. Junior Editor for a Jamaican newspaper – interviewed artists and people of influence. I wrote articles, many of which were published. Helpline Adviser for Victim Support – offered advice to victims of crime. I was able to use my core listening skills which were developed during my counselling course. Youth Leader – worked with a mixed group of young people aged 12 to 18. I ran workshops, discussion groups, organised day trips and youth camps. It certainly made me feel young again! Cell leader at church- I lead a small group of women who join together weekly to read scriptures, share testimonies, fellowship and pray for one another. We celebrate birthdays and go for occasional meals. Thanks so much for your comment, Phoenicia. I didn’t know that you were from Jamaica, or that you were a writer! Do you still do writing in your current work? It’s nice to see that so many people have volunteered for a long time, and have almost forgotten about it. Volunteering comes naturally to some people, and I think I’m one of them. I had to think back, but I think my first volunteer gig was as a “helper” at a day camp when I was a young teen, which made me want to work with young children. I was asked to be a volunteer reporter for my high school and submit regular columns to a local newspaper, which led to a career as a writer. I’ve volunteered for different organizations involving children and the writing/publishing industry, but I don’t think I’ve had as much fun with my volunteer work as I do now. That’s largely due to the people I’ve met along the way, including you, and some who’ve commented on this blog post. It’s so true that you get more than you give when you volunteer and what goes around, comes around, 10-fold. Thanks for this wonderful post, Doreen. I never knew about your gig as Mrs. Claus. You made a good one, and I’m sure the kids all loved you. Cheers! Thx so much for your thoughtful response, Christine. Yes, I think that volunteers are the best people! They seem to be warmer, more sensitive, and caring. I’m so glad that our volunteer work for PWAC has brought us together. See you next month at the conference! I enjoy volunteering with the Women of Today and with Toastmasters. These organizations help me to serve and to grow. In fact, the Women of Today values are: service, growth and fellowship. I certainly experience these three things in both of these worthy organizations. Anything that is about empowerment, positivity and passion (my Red Shoes values) – I am in. I’m the person who says, “I have an idea.” Run! LOL!! Awesome, comment, Kim, and welcome to my site! I don’t think I’m familiar with Women of Today. I’m going to hop over to your site, and if I don’t find it there, I’ll Google it! This is a topic dear to my heart! I’ve volunteered and served on many nonprofit boards over the years but there are two occasions that stand out in my mind. There was the first time I chaired the Maui County Food Drive. The food bank was literally on the verge of closing, so the pressure was tremendous. Thankfully, my employer got behind me 100%. I really stretched myself in so many ways during that event, speaking to service organizations, doing radio interviews and organizing competitions between the resorts. Best of all we raised a record amount of food and monetary donations. The other event had to do with the patients still living in Kalaupapa (the former Leper Colony) on Molokai. The mayor wanted to bring over those who were able to move around pretty good to attend the county fair, but the committee struggled to come up with the funding. Through my travel industry contacts, I arranged for their flight and hosted the group for a private breakfast at the aquarium where I worked. Friends of mine played music and we danced hula and sang Hawaiian songs. It was tremendous and to this day I still receive letters from some of the people in that group. Amazing, Marquita. It’s so wonderful when the effort we make to help others when volunteering has a lasting effect on the positive imprints of our lives. Thx so much for sharing these stories. Volunteering is so important. There are some downsides. The worse time I had as a volunteer, was being treated as a volunteer. As if what I did, was trivial, and you could get anyone else to do it. But, on the other hand, I did not do it to get a good supervisor; it was to help others. So I guess putting up with a poor supervisor was not that bad. Thanks for your comment, William. Yes, that is the unfortunate part of volunteering. Sometimes, we have to deal with people who have very big egos, and they are in it for themselves. Not to help anyone else. When you encounter that kind of situation, it’s always best to try and distance yourself from the person with the ego. Either by moving onto a different committee, or area of involvement where you do not have to directly engage with that person. Or, to take your talent and efforts and bring them to another organization where you will not have to deal with that individual. My goal is to travel overseas to volunteer to help with wildlife such as the turtles in Costa Rica and the elephants in Thailand (once I have enough money!). I think volunteering can be such an amazing and personally fulfilling experience and I cannot wait to do it. I hope you get to reach your volunteering goals, Emily. But if money is an issue, why not start with something closer to home that will still have the nature focus you are looking for? Does your home zone have a Volunteer Centre you could visit, to find out what the opportunities are in your area? That’s always a good place to start when you are new at volunteering. Volunteering with Red RIver North Tourism in a leadership role has meant never having to wonder about what to do with my spare time! It’s been challenging, rewarding, frustrating… all of that and more. But now in a lesser role, as we move into a new phase of the organization, I am grateful to have had the opportunity to stretch myself, to learn, to meet new people and have a great reason to be a local tourist myself! Who needs Sudoku when there are real-life puzzles to solve? 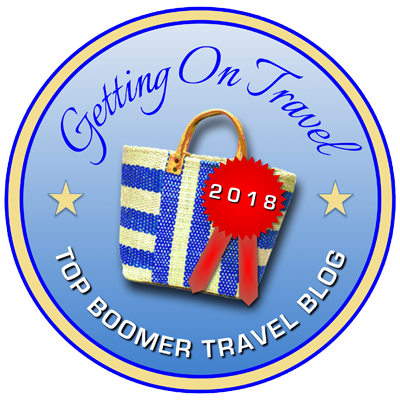 DItto for my nine years with Bed and Breakfast of Manitoba….In both cases, the volunteer work dovetailed with my actual business, and the many crossovers informed the efforts of both the volunteer organizations and my own enterprise. So, enriching in different ways…. That is wonderful, Laurel. You have used volunteering very effective, capitalizing on your own talents, and being able to have the crossover effect that is a win-win effect. Cheers! My volunteering has been very sporadic over the years. But I have a couple of things on the horizon that have attracted my attention and are places I think I can do some good. I’ll keep you posted. I have to check out your book–the things I don’t know about you! Great topic, Doreen! I’d have to say that my most memorable volunteer experience was the first time I canvassed for the Lung Association. One of the homes I stopped at was on a large corner lot and was so huge I thought it was a duplex. I was very embarrassed when the same fellow answered the second door I knocked on 😮 The most unusual experience occurred when I worked bingos as a fundraiser for one of the sports a child was involved with (It’s terrible that I can’t now recall which sport or which child. Those were the blur years.) The extreme lengths patrons would go to in decorating their table space seemed unusual. Troll dolls were a favorite accessory. As for the most meaningful experience, it was when I went with my church group on a “homeless for a night” event in downtown Edmonton. The things I saw, the way I was treated by shopkeepers and the police we encountered, the invisible lines drawn upon the cityscape, the beauty amidst squalor, the degradation amidst hope… It was an experience that changed me. My mind and heart came alive to social justice issues as a result. Thx so much for your comment, Stephanie. I really appreciate you taking the time to share your volunteering memories with us. Especially the one re ‘homeless for a night’ which produced a life-changing experience for you. That is what volunteering is all about. Thanks, Doreen, for reminding us of the importance of volunteers. Thanks for your many instances of volunteerism. I’ve had the privilege of being a volunteer for an association building an arts centre in Durham Region, a national association of managers (on both the chapter and national boards) and an association that provided training to people who were unemployed or wanting to make a career change, so I know what volunteers give and how they benefit. It’s a great experience, and I encourage anyone who’s thinking of it to step up! In my work life, as a consultant I have worked with many volunteer boards to help them develop strategic plans and most recently, I’ve been able to work as paid staff for multiple non-profits and charities (including PWAC). As a result, I know just how vitally important the work of volunteers is and I’d like to say “thank you” to all the volunteers I’ve had the opportunity to serve over the years – your unstinting giving of your time, effort, expertise and insight contributes to your communities, makes my life as a manager easier, and – hopefully – pays dividends for you in terms of experience and new skills. Thanks for everything you do, and a special appreciation to the Boards of the Professional Writers Association of Canada, the Canadian Brownfields Network, the Canadian Association of Women in Construction and the Door & Hardware Institute of Canada! Thanks so much for your comment, David. Being on the volunteer board of PWAC, I can truly attest to the value your expertise and insights bring to the associations you work with. Thanks to you for helping volunteer groups excel in their efforts. Most of my volunteering has been neighborhood related. Since I detest meetings, I struggle with most volunteer opportunities, so I look for the outdoor variety which challenge my ever-expanding body. I do a lot of trail work in Wilderness Areas during the summer. And throughout the season I help the Idaho Fish & Game with a variety of tasks like planting sagebrush & bitterbrush in burned areas to jump start wildlife habitat. Probably most rewarding for me is donating blood. That is something I have done since I was 19 years old and I figured it was the only thing I had to donate because I sure didn’t have any money to spare! To date I’ve given almost 15 gallons of red liquid gold. Thanks for updating this post Doreen. You are indeed a volunteer-extraordinaire! I continue to expand my knowledge through my volunteer work with PWAC and I’ve added being a volunteer group fitness leader, which has not only improved both my physical and mental well-being but given me the opportunity to make more friends. As others have said, and you’ve demonstrated, you often get more than you give when you become a volunteer. Love this, “To step outside our comfort zones and to do things that will help others, make the world a better place and bring smiles to the faces of others.” How perfect that sentiment is. My recent experience is helping my friend Carol sell baskets made by women in the DR Congo (If I can include it, the Facebook page is “weaving healing hearts together.”) We attend crafts fairs and church benefits, tell the story of these brave survivors and we love that 100% of the profits return to them. Hi Doreen. You are doing a great job volunteering. One way I volunteer is by taking people an friends to church whhich I found meaningful and rewarding. Wow – you have undertaken a lot of volunteering Doreen. You look quite the part playing Mrs Santa. It is great you are sharing the ‘good’ and ‘not so good’ experiences of volunteering as it gives a true perspective. I have learnt much in my years of volunteering. It has helped me to take the focus off of myself and place it on others. There are many causes and many people who require our skills, expertise and care. It feels great to freely give and bless! Thanks so much for dropping in to comment, Phoenicia, and for sharing your thoughts and experiences on volunteering. Volunteerism really does help us grow and step outside of our comfort zones.